This is WOW News 247: Donald Trump's Wife Mocks Her Husband's Policies in Weird Jacket Message? Donald Trump's Wife Mocks Her Husband's Policies in Weird Jacket Message? 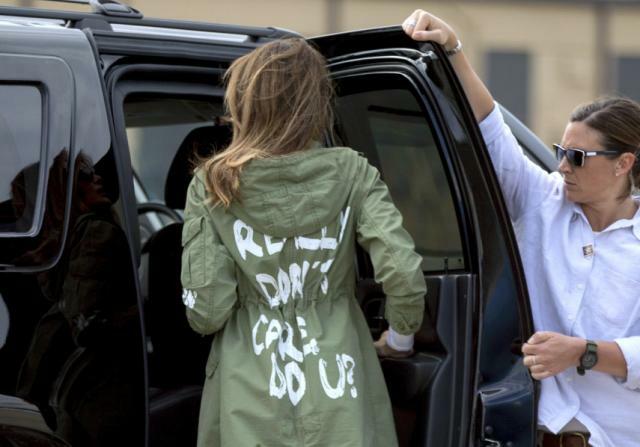 US First lady Melania Trump arrived at Andrews Air Force Base, Md., June 21, 2018, after visiting the Upbring New Hope Children’s Center in McAllen, Texas, putting on a Zara jacket with a very weird but deep bold message which many assumed was an indirect mockery of her husband's mean immigration policies, but guess what? 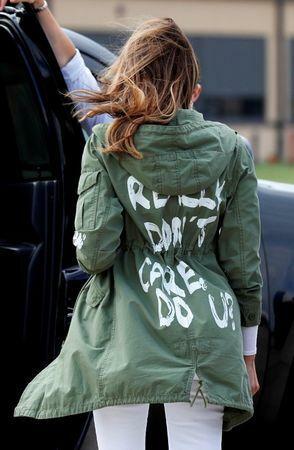 The First Lady has enjoyed lots of criticism from Trump supporters, but trust the President, as he swung into action to deny the rumors, saying his wife Melania's jacket message is about fake news after spokeswoman says there was no hidden message.